Published ten times a year, IFA Magazine has been winning a keen and enthusiastic following among Britain’s premier financial advisers, planners and paraplanners. Thanks to its trademark blend of sharp professional analysis and strongly argued opinions from leading industry figures, IFA Magazine simply exudes quality – all wrapped up in one of the most visually exciting packages you’ll find anywhere in the publishing environment. From the high-gloss cover to the startlingly intense quality of its graphic imagery, its design owes more to the higher-level lifestyle magazines than to the traditional financial press. Our readers know how to appreciate the finer points of a well-presented publication, and they are proving intensely loyal. What keeps them loyal isn’t just the journalistic strength of our senior team with backgrounds in the Financial Times, the Economist, Bloomberg, the Institute of Financial Planning and countless other relevant organisations and publications. It’s not only the specialist sections that include coverage of technical issues, better business practice and our regular look at what’s going on behind the scenes of today’s successful advisory firms that they love. It’s also the unmistakable twist of humour that keeps them turning the pages. IFAs are facing a new world which is changing not just because of a welter of regulatory reforms, but also because of the most challenging global environment we’ve had in half a century. IFA Magazine meets the need for information about this new world with equally challenging commentary, with good looks and good humour. 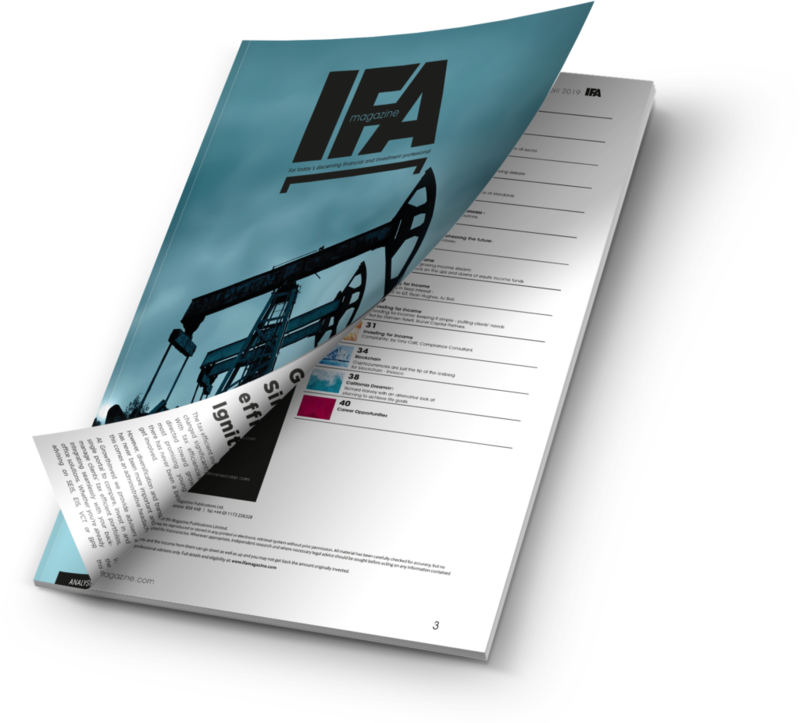 IFA Magazine, web site and media content is intended for professional financial advisers only. No other persons should rely on information contained within. IFA Magazine is a trademark of IFA Magazine Publications Limited. No part of this website should be reproduced without prior permission. All material has been checked for accuracy but no responsibility can be accepted for inaccuracies.